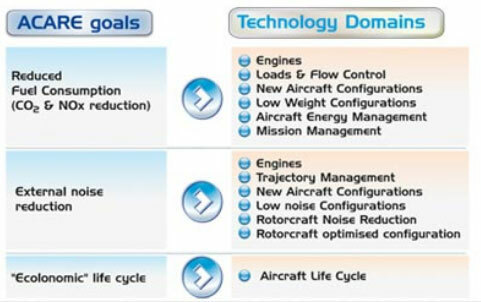 In order to address the ACARE environmental objectives, a number of technology domains have been defined and will constitute the scope of the Clean Sky programme. All those technology domains have been integrated within Clean Sky into 6 Demonstrators, the ITDs (Integrated Technology Demonstrators) and one Technology Evaluator. Clean Sky JTI was born in 2008 with a budget of € 1.6 billion, contributed to on a 50/50 basis by the Commission (in cash) and the aeronautical industry (in-kind contribution). 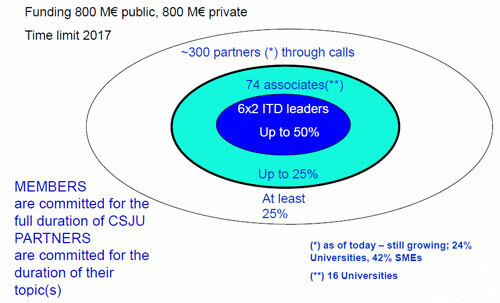 ITD Leaders commit up to 50%, Associates members up to 25% and Partners (through Call for Proposals) a minimum of 25%. 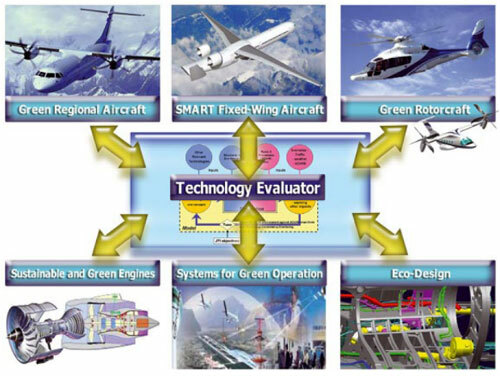 The aim of Project FRARS-2 (Future Regional Aircraft Requirements Survey – Part 2) was to conduct a survey of airlines' high-level requirements for future regional aircraft, with specific focus on American, Asian and African operators.